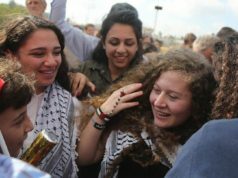 Rabat- Ahed Tamimi, the 17-year-old teenager who became an icon of Palestinian resistance in the occupied West Bank, will be released from prison Sunday. 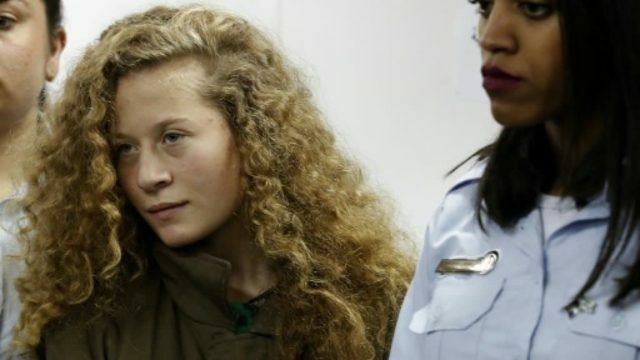 Tamimi was sentenced to 8 months in prison after a video emerged showing her shoving two Israeli soldiers and slapping one of them in the West Bank village of Nabi Saleh. She and her cousin appeared yelling at and pushing two armed soldiers from her family’s front yard. 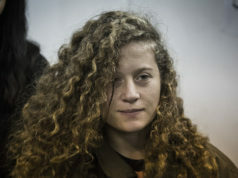 She was convicted of assaulting an Israel Defense Forces (IDF) soldier. In addition to the 8 month prison sentence, Tamimi had to pay a fine of $1,437. The Palestinian teenager was arrested on December 19, 2017. Her mother, Nariman, and cousin were also arrested for the same incident. According to the Times of Israel, Tamimi said the soldiers shown in the video had shot her 15-year old cousin, Mohammed Tamimi, in the head with a rubber bullet an hour before. “Then I saw the same soldiers who hit my cousin, this time in front of my house. I could not keep quiet and I responded as I did,” Tamimi added. A spokesman for the Israel Prisons Service told the Times of Israel Wednesday that Ahed Tamimi and her mother Nariman will be released on Sunday. “They are then planning to hold a press conference at the Bedouin village of Khan al-Ahmar, which is slated for demolition by Israeli forces,” the same source added. Ahed’s father told Haaretz that he has been notified that his daughter will be released this Sunday, and family members will wait for her at the Jabbara checkpoint south of Tulkarm Sunday morning. The 17-year old Palestinian’s case has drawn the attention of many people around the world. 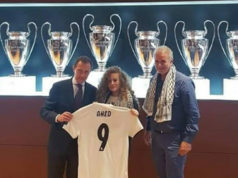 Tamimi has had great support and sympathy from Palestinians, Arabs, and the international arena. They considered her a symbol of bravery standing up against Israeli aggression and occupation.